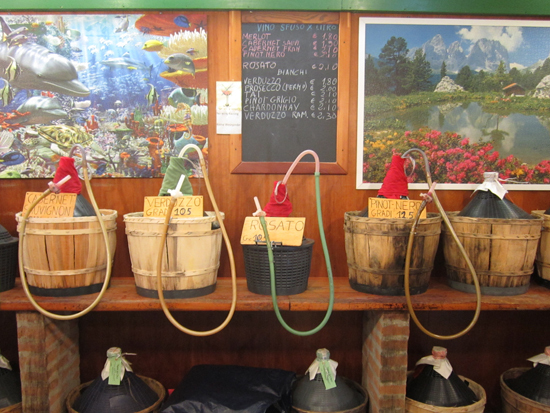 Best kept tips: drink like a local in Venice! Let’s get one thing straight: Venetians like to drink. Retired locals often begin just after breakfast. To Venetians, a glass of wine is called ombra (shade or shadow in English), making reference to when wine vendors sold their goods under the protection of various building’s shadows (the Bell tower in St. Mark’s Square included). Often un ombra refers to an inexpensive, young wine — vino sfuso — sold for around 1 euro a glass in bars, or 2 euros for a liter in the city’s vinaie, small shops that provide locals and tourists alike with this vino sfuso in plastic or refillable glass bottles. They are definitely worth a visit as the wine is often more than decent and the prices can’t be beat. So, what are you waiting for? Buy a liter, bring wine glasses or ask for a couple of plastic ones and enjoy un ombra while gazing at one of the thousand gorgeous vistas that Venice offers! While the city has quite a few of these shops, here are some of the most popular ones. 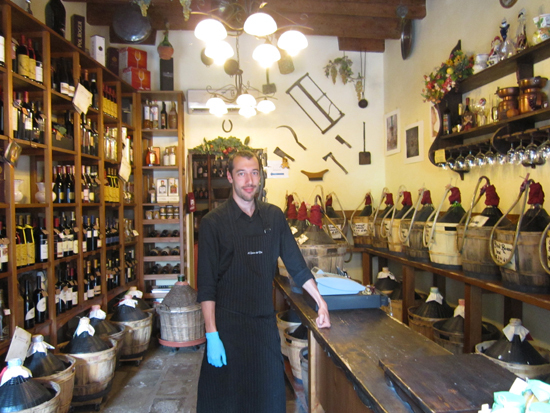 This charming little shop offers perhaps the largest selection of vino sfuso in Venice and bottles of wine from all over Italy, in addition to grappa, balsamic vinegar, olive oil and locally made marmalades and spreads. Ask the young owner, Manuel Casagrande, for a liter or two of the vini popular with the locals: For red, Raboso and Pinot Rosso; for white, Pinot Grigio and prosecco spento (no bubbles). All are made in Treviso, a town just a half hour from Venice. Just steps away from Campo Santa Maria Formosa, this little shop run by Simonetta and Roberto will wow you with their vino sfuso—their most requested being Pinot Nero, Chardonnay and Pinot Grigio (theirs also hails form Treviso). 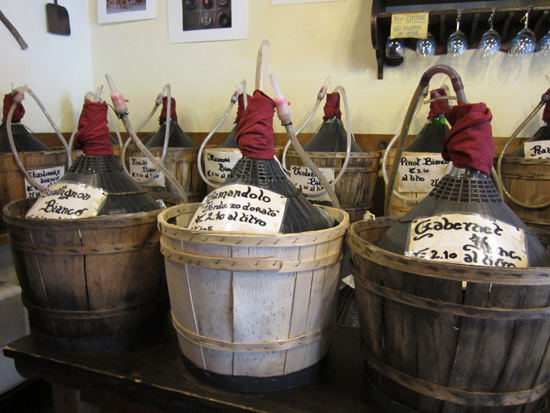 They also carry a good selection of wines from the Veneto from smaller vineyards at very fair prices. As much as an enoteca and bar as it is a vendor of vino sfuso, this locale is family run is never empty. 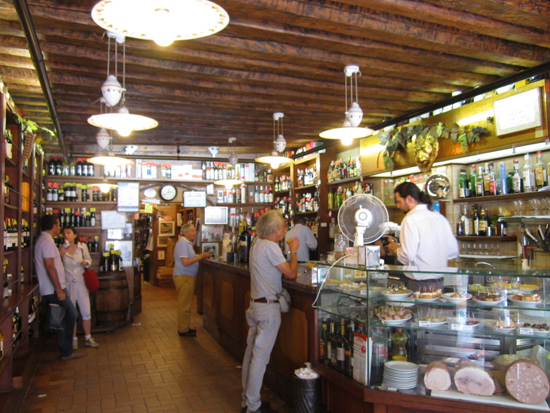 It is frequented by everyone from students to tourists, who enjoy the homemade cechetti (Venetian tapas) and a glass of the local wines: Tocai, Cabernet Sauvignon, Cabernet Franc, Torgolino (White), and a specialty: Pinot Grigio Ramato. It’s a great place to grab a panino and a liter of wine and head to the Zattere for sunset. 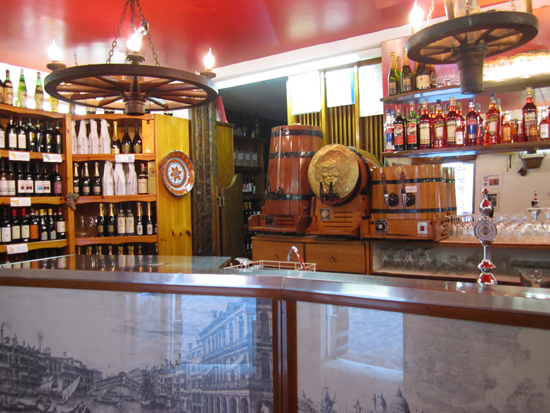 There are several options for vinaie in Cannaregio, though locals all agree that “Da Robertino” is the best. Just a few steps off of the busy Strada Nove that leads from the train station to the heart of Venice, you will step into a local’s paradise. In addition to a curated selection of bottles from vineyards across Italy, there is the amazing vino sfuso. Try: Raboso, Chardonnay, Pinot Grigio and Rosatello—the most requested by Cannaregians. And, yes, for the record, your writer is enjoying a chardonnay from Da Robertino as she signs off. Venice Lover? 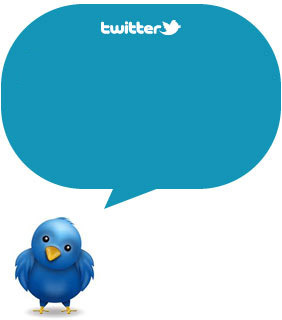 Subscribe to our RSS, follow us on Twitter, Facebook and Pinterest ans stay tuned!